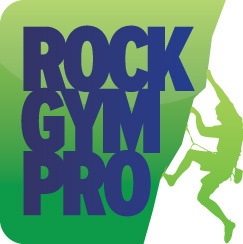 Rock Gym Pro supports the ability to scan and store customer documents such as waivers and membership forms. And to make it even easier, there is a bulk scanning and classification process that allows your staff members to quickly scan and classify hundreds of documents. And the best part is, you won’t need to store and backup all these documents on your computer or server! Rock Gym Pro automatically stores your documents on a remote server – safely encrypted with your master key. A TWAIN compatible scanner is required – preferably one with an auto-document feeder and duplex scanning (if your documents are two sided). All-in-one devices will work, though they tend to have considerably slower scanning speeds than the dedicated desktop scanners. If you have an existing scanner that produces PDFs and is not TWAIN compatible, consider trying this software http://www.scanworkssoftware.com/ . It creates a virtual TWAIN scanner. So you would scan the documents with your scanner, and then select the virtual TWAIN scanner in RGP and point it to the folder full of PDFs produced by your scanner. Please note that this application is NOT directly supported by RGP and we make no guarantees. Remote Storage – How does it work? All your scanned documents are transferred to a secure offsite storage location. This transfer happens silently in the background – so it doesn’t slow down the work flow process. All documents are encrypted with TripleDES encryption through your private master key. By transferring the documents offsite, you won’t have to worry about backing up all those scanned files! That’s one less thing you need to worry about!